FPRA Director Seru Serevi, Shop N Save Finacial Manager Mohnish Ram and FPRA Director Laisa Vulakoro. Fiji Performing Rights Association (FPRA) Limited has welcomed another sponsor to promote local artists. Shop N Save Finance Manager Mohnish Ram presented FPRA with a cheque of $5000 and has given FPRA the choice to decide which category it should be invested in. 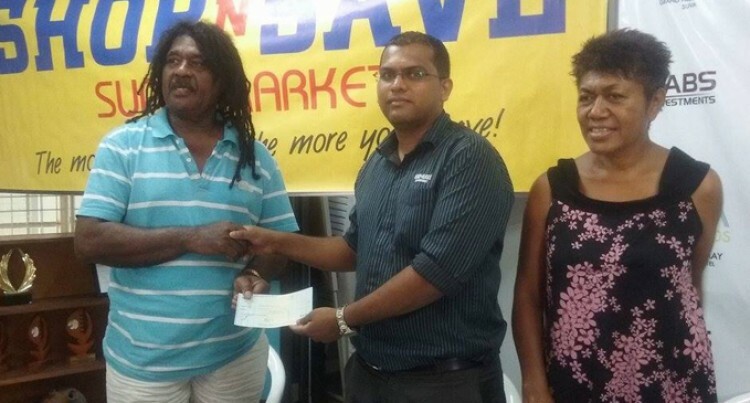 “Shop N Save Supermarket has continually strived to support the development of home grown talent and this has been evident in our sponsorship of various sporting and cultural bodies,” Mr Ram said. The FPRA music awards will be held at Grand Pacific Hotel on May 14 and the chief guest will be the Prime Minister Voreqe Bainimarama.